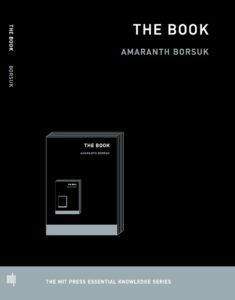 Thinking about what the book is, for me, is also thinking about what a publication is, what it means to publish, that is, to deem a work as finished and complete and whole, to then prepare the work to be seen by others, to then share that work with others in some bound or unbound form. The book, then, has something to do with access and accessibility, with readers and readership, with the relationship and traversed distance between a writer’s hand and reader’s eye. The book, then, is the physical manifestation of a relationship between a writer and a reader.